When I attended the Gold Seas bento workshop two weeks ago, the featured dish was Tuna Cakes made of Gold Seas Tuna Chunks in olive oil and mashed potato. It looks like any other tuna patty but surprisingly, it was so delish! It's really that yummy that I actually thought of recreating it on my own kitchen yesterday at lunch. 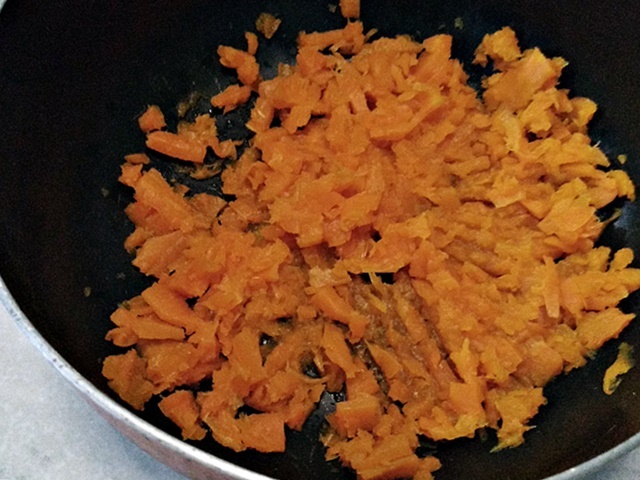 Instead of mashed potato, though, I used mashed carrots. 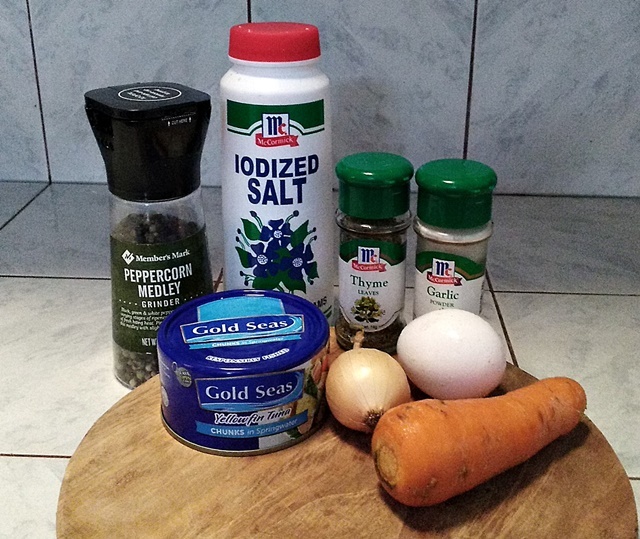 And I added more characters to my tuna by putting garlic powder, thyme and Parmesan cheese. 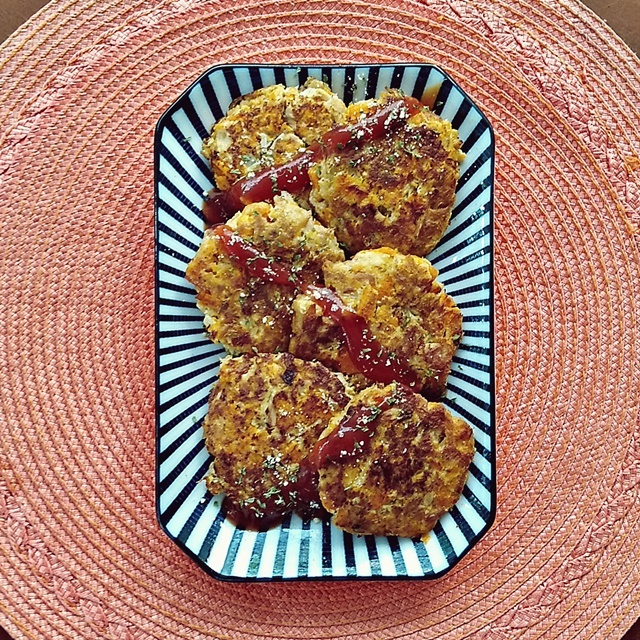 This dish is perfect for kids who loves fried food so much! But since I fried it in a non-stick pan, I only used a tablespoon of oil. 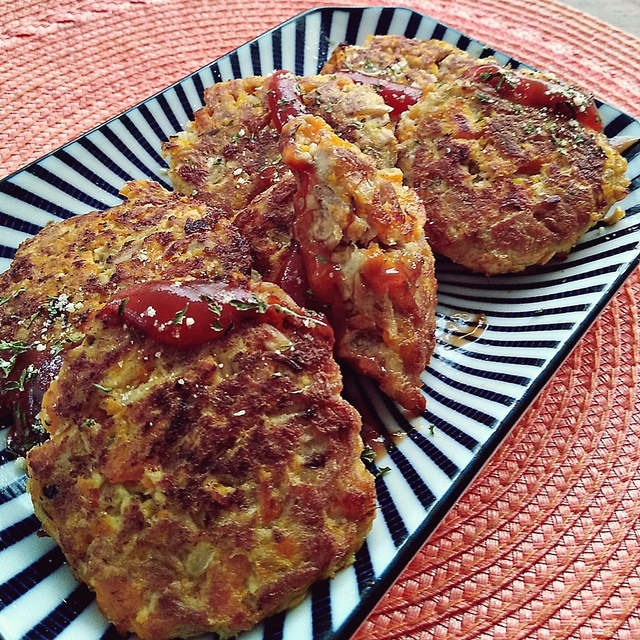 Sophia and I loved these healthy and filling patties! Who would actually think this is fish and veggies, right? Hmm. You think your pickytarian will eat this? Well, try my recipe and let's see how it'll go! 1. 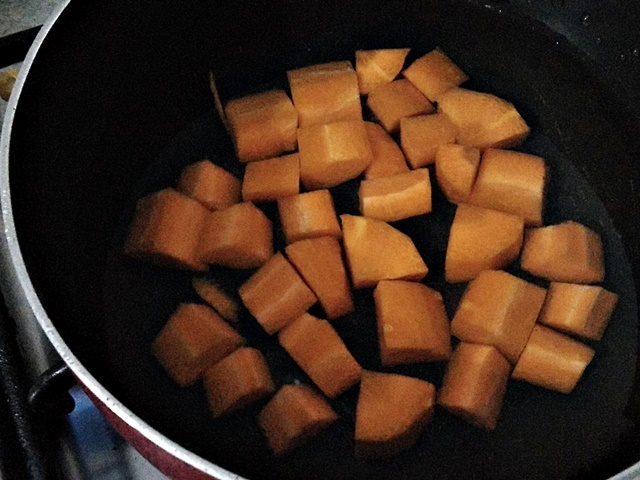 Peel the carrots and chop in small cubes. Boil until tender. Drain and roughly mash. I like that it looks bits of love and happiness in my patty. 2. 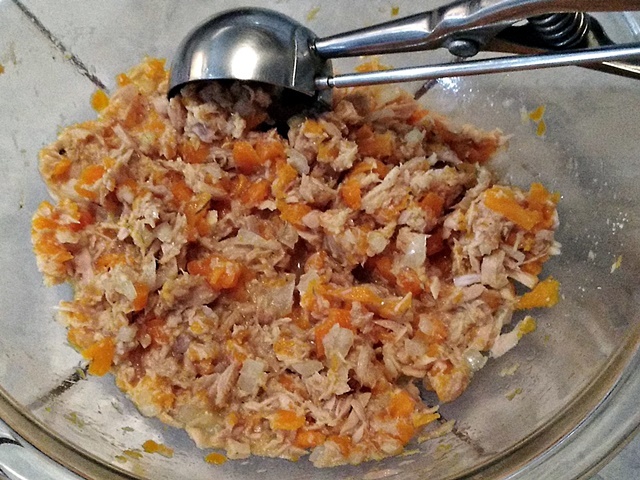 In a bowl, mix the tuna and mashed carrots. Add egg, salt, garlic powder and thyme. Using your bare clean hands, mix it well. You can also add Parmesan cheese to serve as binder and added flavor. 3. Scoop out mixture using 1/4 measuring cup. Form each into patty. 4. Fry in medium heat until each side is golden brown for about 3 to 4 minutes. Gently flip it to maintain its form. If you enjoy doing my recipes, I would truly appreciate it if you include #RoyalDomesticityRecipes in your posts. Remember to always cook from the heart! picky eaters. I will definitely try this one out! Wow sarap! I want to try your recipe with Gold seas tuna. I never try it before. I will try it .. My son likes fish a lot ! 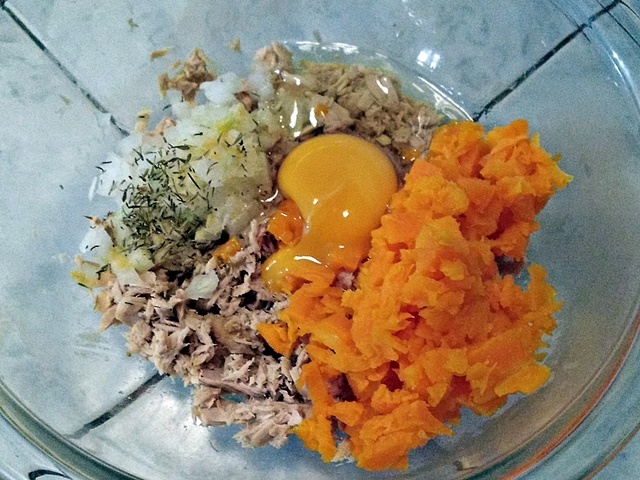 Mommy Denise I like this recipe kasi healthy, fish and veggies na puno ng nutrients. 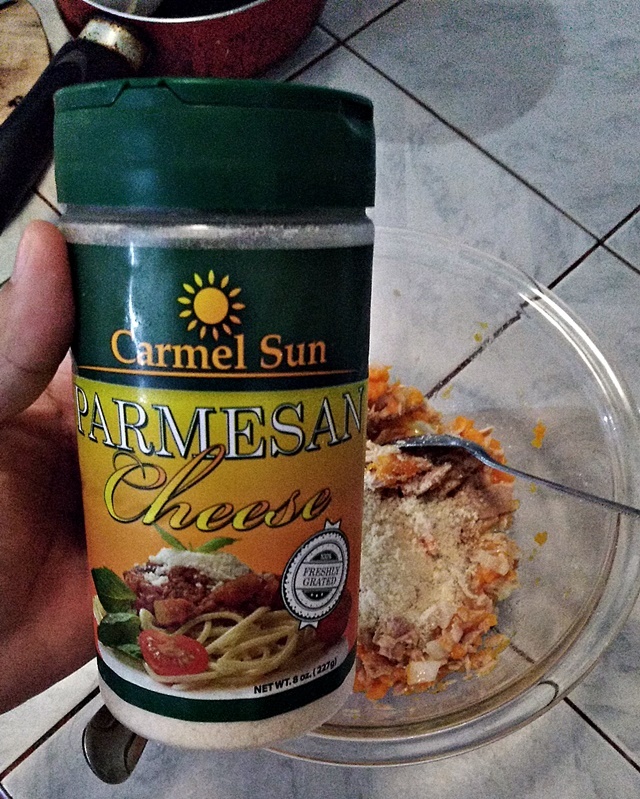 I will try this in our meal I’m sure magugustuhan ito ng little girl ko sasamahan pa ng ketsup na gustong-gusto niya. Thank you for sharing! Another WOW! My #littlegirlsofia really likes patties, so, Thia is a must-try!🙂 Keep on inspiring us, Mamsh D. - GOD BLESS! Love this post! It's a good way to sneak in veggies to our LO's food! Although my daughter is not picky and eats all veggies, yes even ampalaya and okra, pero pagdating s carrots medyo ayaw nya, I don't know kung dahil sa hindi rin kmakain ang papa nya ng carrots, but sometimes she likes it. I think this is a good idea..yay! Another recipe saved!